I love buttons! 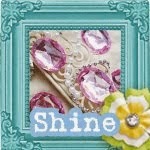 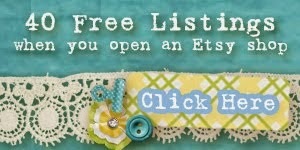 They come in such a wide range of colors, designs & sizes that they are a MUST have for any crafter's stash. 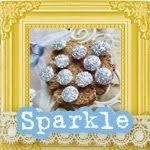 They look wonderful singly or loaded on the project. 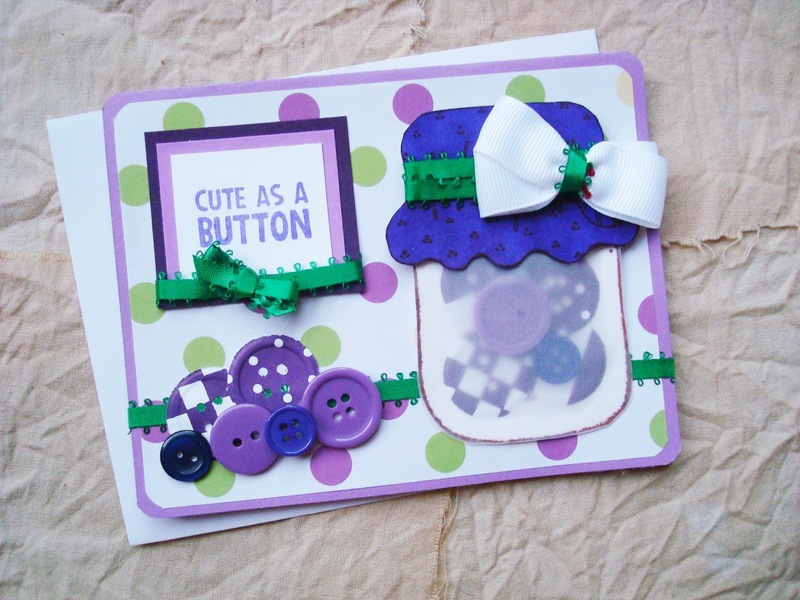 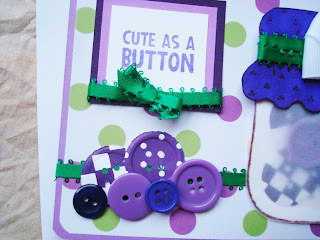 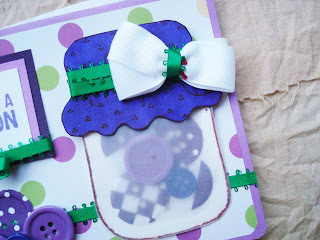 For this piece, I took a little snapshot from my studio & transformed it into this "cute as a button" card: a jar of buttons with a smattering of buttons laying beside it.